Used or used and certified by 2017 Toyota Prius Prime,one owner, clean carfax, under 20,000miles,$20000, Titanium Glow ext color,or red or black,they do not come in black, black leather interior. Solid reliable car. 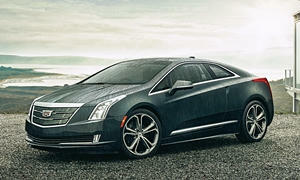 I personally prefer the Volt even though the reliablity is not quite as good. 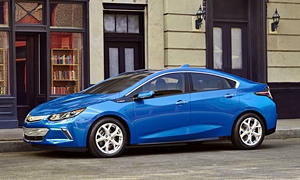 Used 2017 Chevrolet Volt LT for sale at Kempton Chevrolet Buick in Safford, AZ for $21,297. View now on Cars.com. I don't mind the styling of the Prius as I own a 2016 Prius Liftback, not the Prime. I like the look of the Prime more. If you don't like the styling, get it in black like mine. Keep in mind the Prime has the rear windshield without a wiper and it is curved inward, so it will be expensive to replace. It has around 23 miles of range and the Premium and Advanced trims have a Tesla-like screen. It seats 4. The back seat is super comfortable because there are two big seats. It feels almost like a couch. The trunk is smaller than the regular Prius, which could be a deal breaker for some. The EV mode is legit. It doesn't turn on the engine under full throttle if you have some juice. NormT likes the Volt because he hates Toyota and loves GM. Though I am biased, I prefer the Prime over the Volt because of reliability, smooth, tried and true powertrain, spacious interior, Prius Chat, owner loyalty, brand reputation, and safety tech. The Prius is also the first good hybrid that started it all. I bought the Prius over the Prime because I couldn't wait another 8 months. 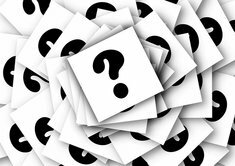 If you need any questions answered, Priuschat.com is the one of the most popular and most used forums for any car, and it's only for the Prius and Prius Prime. The reasons you would go for the Volt would be acceleration (slightly better), exterior styling if you want to look like everyone else, and if you want the added 20 miles of EV range. 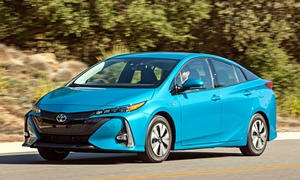 Handling is about equal with the most recent Prius redesign. If you can charge at your work and your commute is around 25 miles, these cars really will pay for themselves. If you live in CA, you get $5000 back with the Prime and $7500 back with the Volt. You can also get HOV lane stickers with both.